13,5x7.5mm; pitch 5mm; ESR <100 ohm at f=1kHz; leakage current 20uA max. 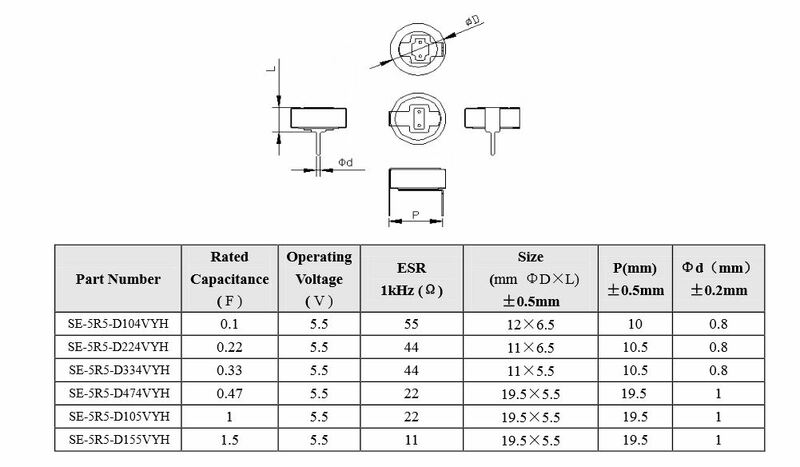 12x6.5mm; pitch 10mm; ESR 55 ohm at f=1kHz; leakage current 30uA max. 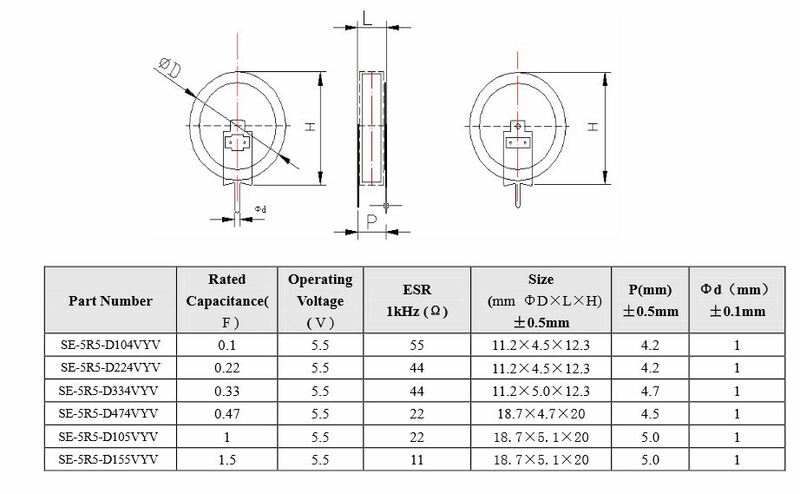 11.2x4.5x12.3mm; pitch 4.2mm; ESR 55 ohm at f=1kHz; leakage current 30uA max. 13.5x6.5mm; pitch 5mm; ESR 55 ohm at f=1kHz; leakage current 30uA max. 11x6.5mm; pitch 10.5mm; ESR 44 ohm at f=1kHz; leakage current 30uA max. 11.2x4,5mm; pitch 4.2mm; ESR 44 ohm at f=1kHz; leakage current 30uA max. 13.5x6.5mm; pitch 5mm; ESR 44 ohm at f=1kHz; leakage current 30uA max. 11x5.5mm; pitch 10,5mm; ESR 44 ohm at f=1kHz; leakage current 20uA max. 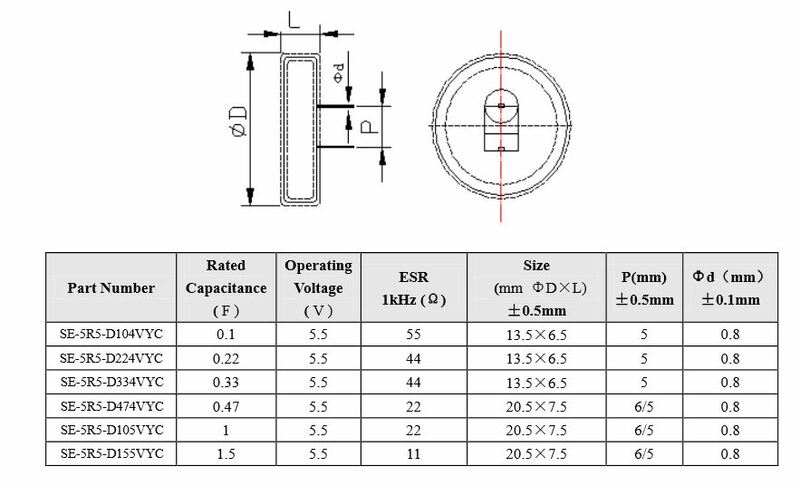 11.2x5x12.3mm; pitch 4.7mm; ESR 44 ohm at f=1kHz; leakage current 20uA max. 13,5x6.5mm; pitch 5mm; ESR 44 ohm at f=1kHz; leakage current 20uA max.